According to American Psychological Association statistics, men are four times more likely succeed at suicide than women. Nine percent of men have incidents of depression and anxiety daily. According to the National Institute of Mental Health, men can experience a variety of symptoms, including anger, irritability, or aggressiveness; feeling sad, "empty," flat, or hopeless; not being able to concentrate or remember details; feeling very tired, not being able to sleep, or sleeping too much; thoughts of suicide or suicide attempts, and withdrawing from family and friends or becoming isolated. Anthony Bourdain was in the middle of filming Parts Unknown, and he had what would be considered a grueling schedule. Back in February of this year, many personal issues were coming to a head and I was hurting...hard. It was a combination of things: trying to balance caregiving for Mom with the needs of freelance work, an impending milestone birthday, a complicated emotional situation in my personal life, and an overall feeling of despair led me to shut myself off from others. Emotionally, I was taking the fastest elevator towards the bottom I could find. In fact, well...I learned quickly that yes, Virginia, compassion fatigue is a thing. And the thing is...I don't suffer from clinical depression. I tend to have reactive depression (or to cite the DSM-5, "Adjustment Disorder with Depressed Mood") - in other words, something has to happen to bring on the depression. Thirteen years ago, it was the death of a favorite aunt (from ovarian cancer) and a casual friend (from a motorcycle accident). Five years ago, it was the suicide of my colleague Vincent which led to a brutal self-assessment (as well as an essay for the When the Shadow Sees the Sun benefit anthology). Although I might have a naturally dour disposition, this time...something had to change. I was starting to approach that point of no return...and quite honestly, it scared me. I turned away from friends. Although tempted to lash out at people (especially a budding friendship), I engaged my usual defense mechanism: burying myself in work. It didn't help. Family members were...not available, and I had no wish to burden them. I turned off social media and began to consider what would happen if I wasn't around...and didn't like what I was thinking. But slowly my mind started turning...in doing "research", I came across this page about suicide. Then this article from The Mighty. Feeling slightly stronger, I availed myself of services from the Chicago Department of Public Health's mental health clinics. Recovery has been...slow, but I started reconnecting with the world. Writing fiction helped me channel some of the feelings around that complicated emotional situation. Meeting up with some friends on my birthday helped; assisting another move from one apartment to another (within the same building) also helped. Joining a newish friend for lunch also helped, and I'm planning to (hopefully) join another for a post-performance gathering. It was that feeling of community and knowing that others wanted me around despite my troubled mood., that helped assuage the aching loneliness that comes with depression of all types. 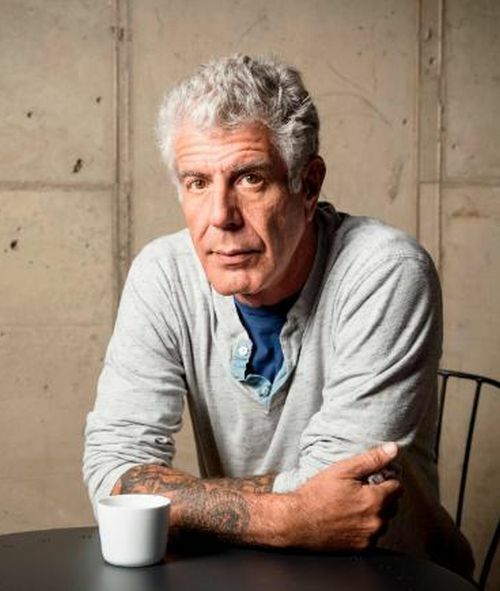 (And, much like Anthony Bourdain, very few people suspected how I felt...of course, I honestly didn't think people noticed that I was gone). What also helped was, of all things, running a panel on sword and sorcery at Windy City Pulp and Paper. (You can read more about that - and my C2E2 Doctor Who panel - via my personal blog). 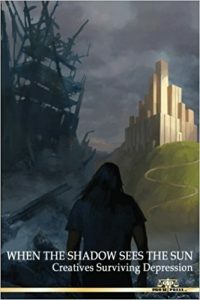 Being able to relate how Robert E. Howard and I shared many traits - caregiving for a sick parent, being relatively isolated and communicating mostly through words - placed my experiences into a powerful perspective, with one critical difference. 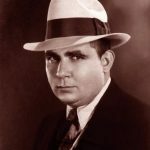 Robert E. Howard lived in a small town with very few resources in the 1930s. However, I had people who were willing - and able - to engage with me. Take the initiative. Because many men (like me) are still socialized to be "strong" and stoic, not discussing those darker emotions. One of the hardest aspects of handling Anthony Bourdain's passing is that there will never be closure or an "a-ha" moment that speaks to his motivations. For men dealing with depression, criticisms that "only weak people consider killing themselves" or "suicide is a permanent solution to a temporary problem" can frequently act as fuel, motivating them further down the spiral. Even Anthony Bourdain, as social as he was, still could not fight off certain demons or (presumably) that lack of belonging. The best thing you can do for someone who's hurting..is reaching out and including them before it's too late. It helped me. And it helps you avoid the inevitable feeling of "coulda/woulda/shoulda" when it finally happens.